Let’s turn up the volume for Children’s Hospice Week 2017! 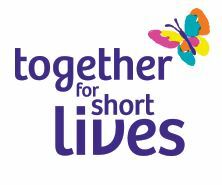 Join UK charity Together for Short Lives, families and services across the country for this year’s Children’s Hospice Week (22-28 May). The campaign will be turning up the volume on children’s palliative care to raise awareness about the needs of seriously ill children and to celebrate all the lifeline services that children and families rely on. There are 49,000 children in the UK living with a life-limiting or life-threatening condition, that’s one in every 270 children – the equivalent of one in every school. Many of these children have complex health conditions and need round the clock care. Children’s Hospice Week is the UK’s only awareness and fundraising week for these remarkable children and families and the amazing children’s hospice and palliative care services that support them. Amp up your outfit – from neon colours to crazy hair…glam up, go loud and give! There are so many ways to #UpTheVolume, so whatever you decide to do for #ChildrensHospiceWeek… just do it LOUD and share it with us on social.